Happy Valentine’s Day! Shouldn’t EVERY DAY be about love? How perfect that today’s show is dedicated to a discussion about the philosophy of love, patriotism, politics, and social justice with a man whose life, actions, and words are the very reflection of a fierce dedication to kindness, love, and compassion. Today’s guest is a United States Senator from New Jersey, and sometimes rumored potential 2020 Democratic candidate for President, Senator Cory Booker. What I find most compelling about this public servant — above and beyond his dedication to an array of social justice issues that make my heart sing — is his non-apologetic devotion to love and his willingness to publicly proclaim his service to a higher good. That’s much of what our conversation centers around today, as Senator Cory Booker is the walking, living, breathing definition of what I mean by the need for Soul Force Politics in our country. 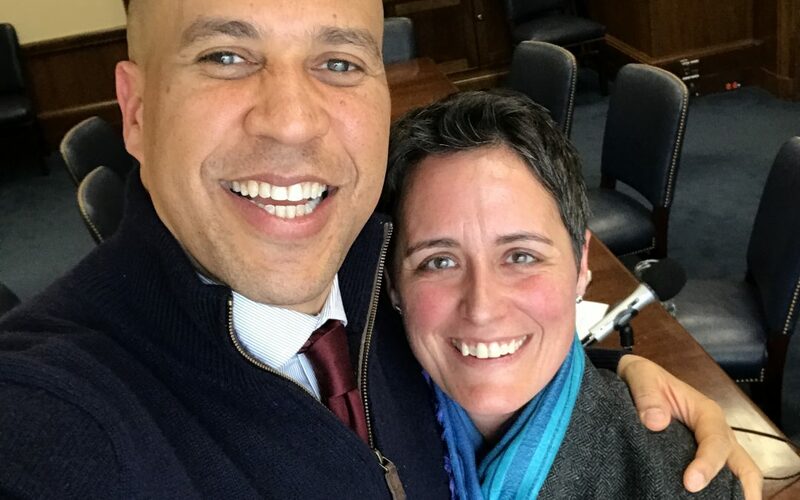 Senator Cory Booker is the Host of his own new Podcast, “Lift Every Voice,” which is dedicated to shining a light on overlooked issues of injustice and inequality and sharing inspiring stories of change.